After giving birth to Nathen, I went back to Dr Hui Yun for my usual round of lasers to brighten my dull skin (especially after confinement!) and asked her about the pigmentation I suddenly had on my face post-pregnancy. Pregnancy really goes beyond destroying your body man!! Just look at these brown freckles I suddenly have!! I know I can always count on Dr Hui Yun. She took one look and she said that this can be easily treated with lasers. I was afraid it would be permanent! 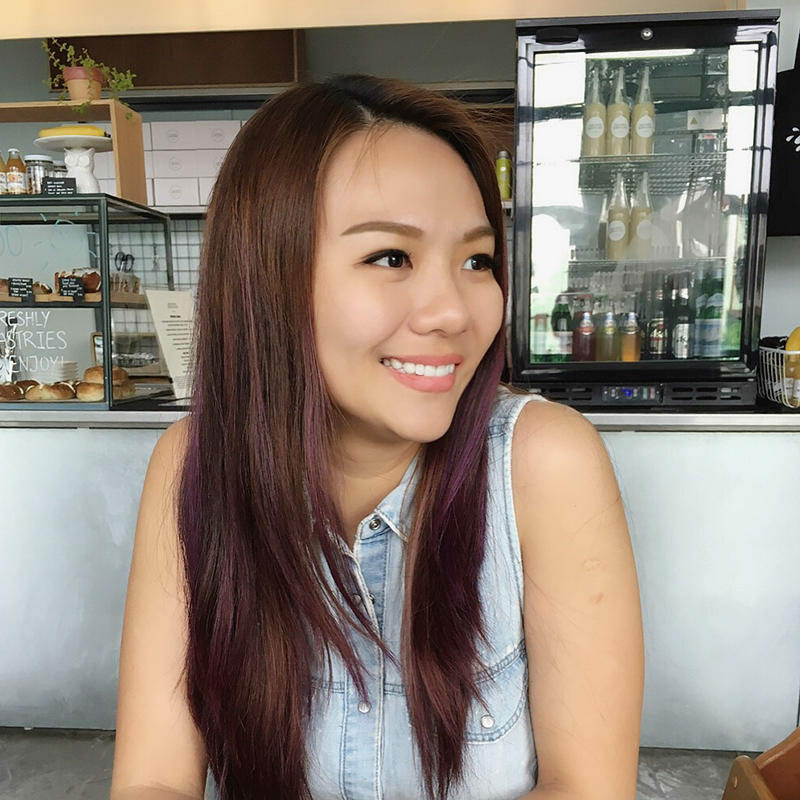 She recommended to go for a combination of the Dual Yellow Laser and the Q-Switched ND:Yag Laser. 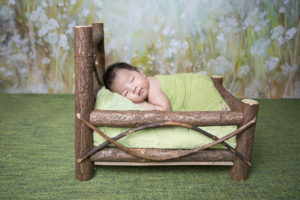 Read on for photos and a DRx Clinic laser review! The Dual Yellow Laser is the usual laser I like to go for at DRx Clinic once every 2-3 months. I should really go once a month but my busy life doesn’t allow me this luxury so I try to go every 2-3 months like a skin maintenance routine. I find this a very effective treatment for dull skin and uneven skin tone. 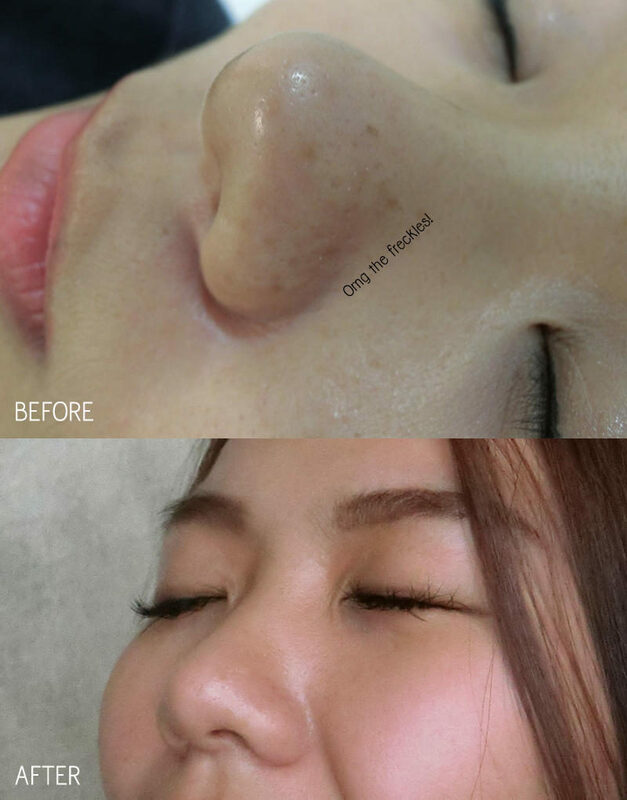 The result is instant and you get this amazing bright, glowly skin after the treatment. Super love it. It’s not painful. 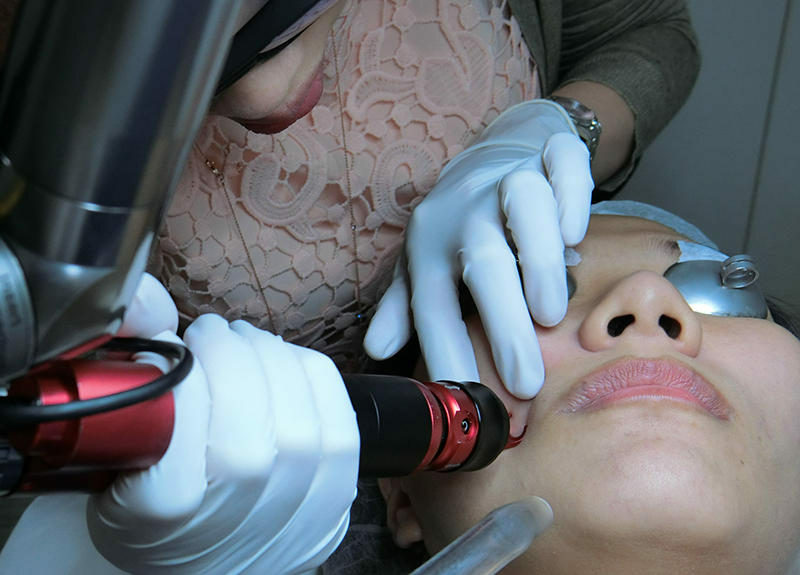 But if you are scared of pain, Dr Hui Yun would give you numbing cream and/or blow cold air on your face while she works the laser on your face. I usually go for just the cold air. The numbing cream takes a while to take effect and I don’t have the patience for it. There is no down time to it too, just in case you’re wondering. Next up was the Q-Switched Nd:YAG Laser. This is how the Q-Switched Laser treatment looks like. 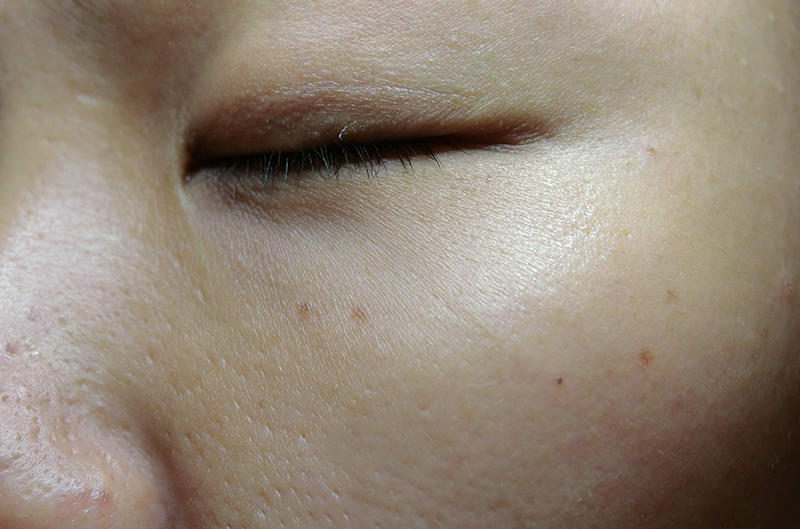 Here in the above picture, Dr Hui Yun was working on some brown freckles on my cheek. 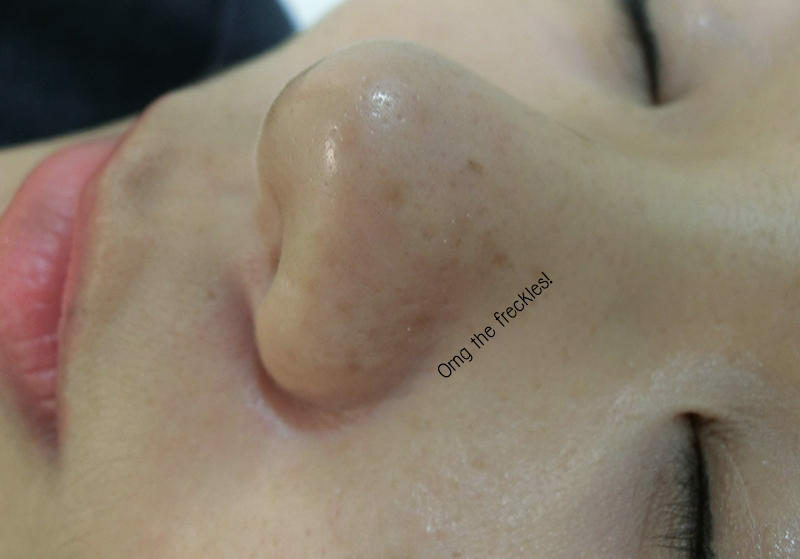 Like those on my nose, it all appeared after I gave birth – see image below. I was covering it up with concealer every single day and was wondering if this was the way forward for me. Thank goodness it’s NOT!! The Q-Switched Laser energy is absorbed by the pigments (usually brown in colour). These pigmentation break off into smaller fragments and are naturally cleared away by the body and skin. Right after the treatment, I had light scabbing all over my face where the pigments were, except that the scabs were a lot darker than pigments. Was I concerned about them? YES?! But it didn’t stop me from going about my daily activities. A few days to a week later, the scabs all disappeared and I was sooooo happy to see the new skin! The freckles all fell off with the scabs :) This is all in just ONE SINGLE treatment ok!! I am very satisfied with the results and that’s why I am writing this DRx Clinic Laser Review post! I’m not saying everyone’s freckles will be resolved as easily as mine, please check with your preferred DRx Clinic doctor. If your freckles are darker, it will probably take a few more treatments but mine were thankfully light enough to be treated in one session. Are you tempted to get your skin problems solved by laser treatments already? Quote my name/blog when you call to see what’s the latest discount! 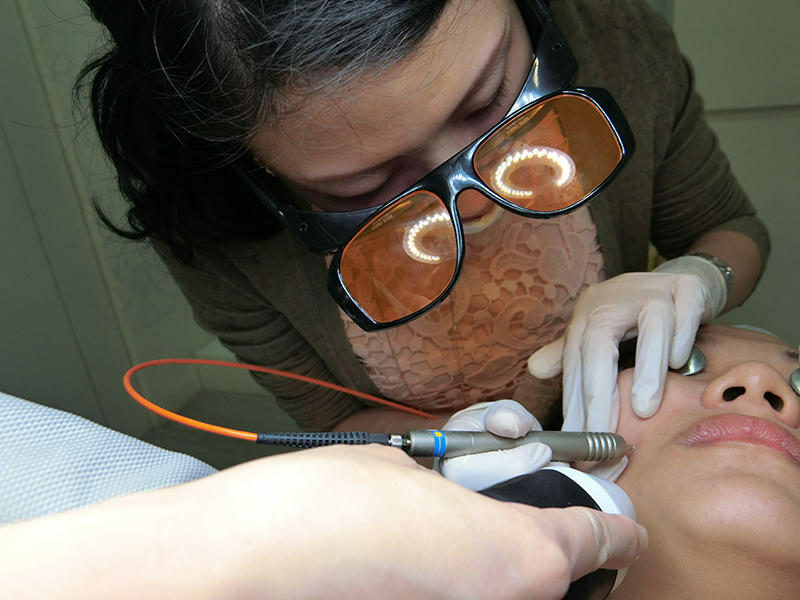 Always check with a professional medical doctor before proceeding with any laser treatments k! Hope you found this DRx Clinic laser review useful! DermaRx skincare range at DRx Clinic & prices! Previous Post Have you been to Coffee Bean lately? Hi there..do u mind sharing the price of the laser u done ?